Japan watched, Japan waited, and Japan got what they wanted - a knockout, in the main event of UFC Saintama between Mark Hunt and Roy Nelson. A heavyweight collision would only last two rounds, with the New Zealand native prevailing with an emphatic knockout to bury "Big Country". Roy Nelson had the better of the opening bracket. As expected both began throwing bombs early on and the American was more successful in his pursuit. The opening five minutes reiterated why everyone was so excited for the fight, bombs were dropping here, there and everywhere. Some two minutes more into the second round and the fight would be over. Leaning in for a shot, Roy Nelson was caught with a pulverizing uppercut that completely levelled him, and Mark Hunt walked off with the job done once again. 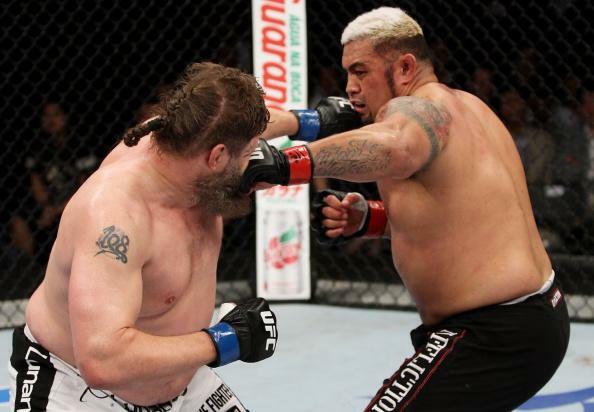 Mark Hunt became the first ever person to knock out Roy Nelson - a testament to his true power. It's been quite a turbulent ride for Hunt, the 40 year old, who came off an epic draw with Antonio Silva following a loss to Junior Dos Santos. The huge win here shall take propel him in the rankings. Earlier, Myles Jury knocked out Gomi in the first round and Miesha Tate defeated Rin Nikai by unanimous decision.